Product lifecycle management, PLM are the stages used to manage a product right from its commencement, design, creation and disposal. This concept was introduced when the need for safety and control was very paramount, especially in the medical, military, nuclear and aerospace industries. Years later, the PLM concept spread to industrial machinery, engineering, and consumer electronics. Product lifecycle management is today mostly associated with manufacturing, and its structure is also used for service provision and software production. 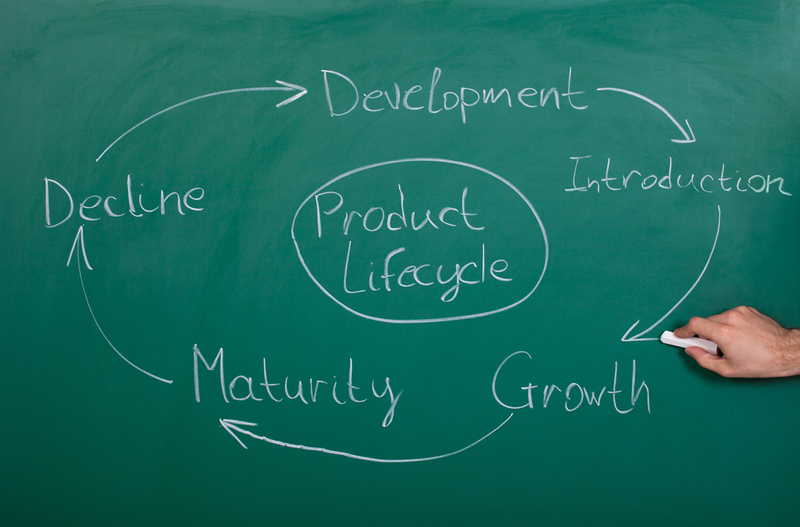 Product lifecycle management is used in software applications to manage lifecycles of their products. In software applications, the concept makes it possible for the information about what affects the products to be saved. PLM software can be used in organizations to automate data management. This data is related to their products and can be integrated with other business processes. Product life management mostly helps organizations to reduce wastage in order to increase productivity. PLM is a critical part of the lean production model. The effective product lifecycle management model brings together all the parties involved in the development of a particular product. This assists the parties to rationalize the production activities, with the goal of developing a product with the capabilities of staying on top of the competition. There are numerous lifecycle models which can be adopted by any organization. However, most of these models are the same. The following is one of the lifecycle models which can be adopted. It mostly stresses hardware-related products; however, the similar stages can be used for other products or services. This also includes non-technical or software based products. The first step in PLM is defining the requirements of the product. This is done with the consumer, company and the market in mind. In this stage, organizations can also determine the key technical concerns of the product. Besides, the first concept design work is done, and the aesthetics of the product and its primary functional aspects are defined. Here, various media are used, that is, from pencil and paper to clay models to using computer software. In other settings investing resources into research is also included in the conception stage. For instance, upgrading the technology to the required level for the process can continue to the next phase. However, this process can also be repetitive. There are possibilities that something doesn’t work well at any stage and this requires the process to be repeated. In this stage, the detailed design and development plans of the plans come into play. The stage progresses from sample testing to releasing trial products to the launching of the final product. Here, the product can also be redesigned. Computer-aided design is the main tool which is used to design the product. The product’s design can either be in a simple 2D drawing or a 3D parametric feature based on a solid surface modeling. This stage also includes numerous engineering disciplines like electoral, mechanical, automotive, software, aerospace and architectural amongst others. Computer-aided engineering software can either be used alone or integrated into the CAD package. They are both used for analyzing the stress limit, simulating the mechanical events and analyzing the set element. Computer-aided quality is used to perform dimensional tolerance analysis. Another task involved in this stage is acquiring the required components, most probably with the aid of procurement systems. The method of manufacturing is usually defined once the design of the product’s components is complete. This stage involves CAD tasks like tool design, using integrated or separate computer-aided manufacturing software. In addition, analysis tools for simulating process operations are also used. Once the manufacturing method is identified, CPM comes into play. This includes the tools required to perform factory layout production and simulation. This is the last stage of product lifecycle management, and it involves managing in service information. That is, providing the support information required for maintenance and repair and recycling information. This process requires tools like repair, maintenance, and operations management software. Every product has its end-of-life. This can either be destruction or the disposal of the product and requires considerations since it might lead to complications. One thing you should understand is that the above stages can be seen in isolation. However, a project cannot run the same time or individually from other product development projects. In all these steps, the information flows between different people systems. Companies can view product lifecycle management as both information and an organizational strategy too. As information strategy, PLM builds a logical data structure by merging all the systems. As a corporate strategy, the concept integrates global organizations and assists them to work as a single team, with the aim of designing, producing, supporting and disposing of products, while still gathering information about the entire production process. This enables organizations to make cohesive decisions, decisions based on the information they gathered in every stage of the product lifecycle. Improve relationships along the lifecycle and the organizations involved in producing the information. Establish a single system record to back varied data needs. With this, the right people can access the accurate information at the required time, and in its actual context. Maximize the lifetime value of the product’s portfolio. Increase the revenue through the repeatable processes.